Great wine is born in the vineyard ! 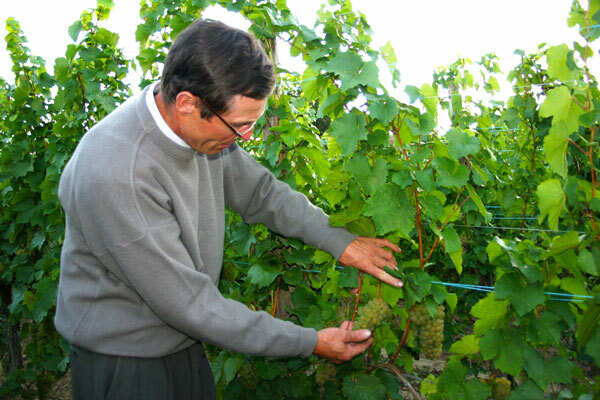 The successful management of a vineyard is an art which requires technique, precision and sensitivity and which also demands humility. 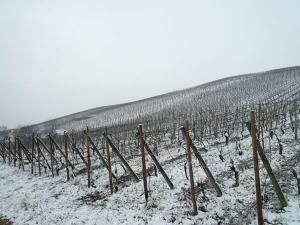 Throughout the year, we are dependent on the prevailing climate which governs the correct development of the vine and the quality of grapes yielded. The soil must be respected and to this end, we have chosen to farm organically, limiting mechanisation and the use of heavy machinery. Today we work fifty-five different plots, each one of which is different - having their own soil, microclimate and plant material. We are constantly reviewing our production methods to ensure the year-on-year development of our vines. 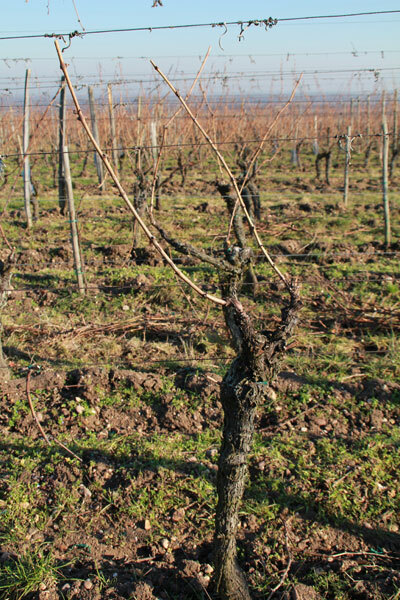 To achieve great wines which speak of the terroir in which they are grown, the vineyard’s year begins with pruning. In winter, the vines themselves are dormant but pruning them is an essential task which influences the yield and quality of the fruit. 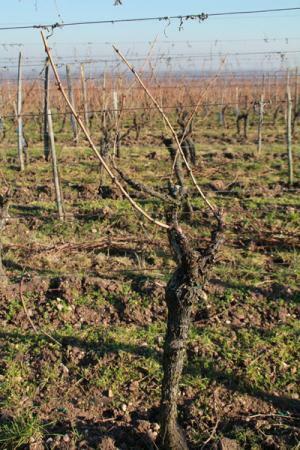 Successful pruning also enhances the longevity of the vine – an important point as the finest wines come from older plants. After pruning, we bind the vines. 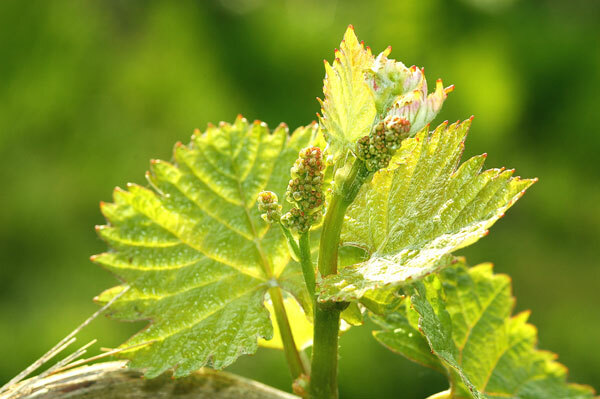 Binding enables the plant sap to spread homogenously which is necessary for the vine to produce new shoots in a balanced way. If needed, we will apply an organic fertilizer comprised of grape skins and cattle dung. This process gives life to the soil and keeps it alive and active. The organic matter in the soil will evolve to provide the nutrients needed by the vine. Spring is also the season of planting and replanting – where dying or dead vines are replaced. Planting is a complex task which focuses on the perennial nature of the grape vine – a plant which should live for at least forty years. 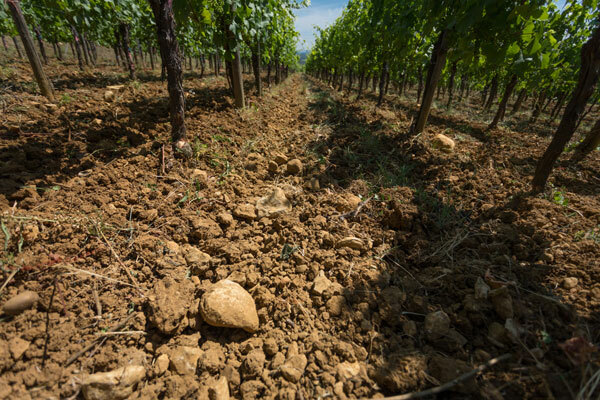 To succeed, the right variety of grape and rootstock need be chosen relative to the soil composition and prevailing microclimate. As a rule, we tend to prefer mass selections to cloned ones. 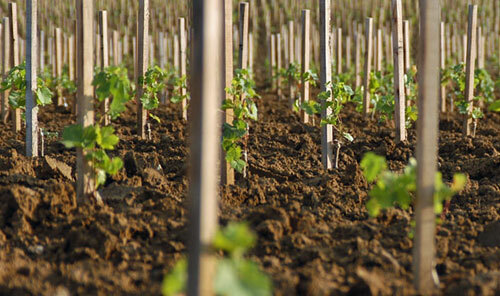 Mass selections consist of vines produced from vine shoots in a given terroir which display the qualities required. 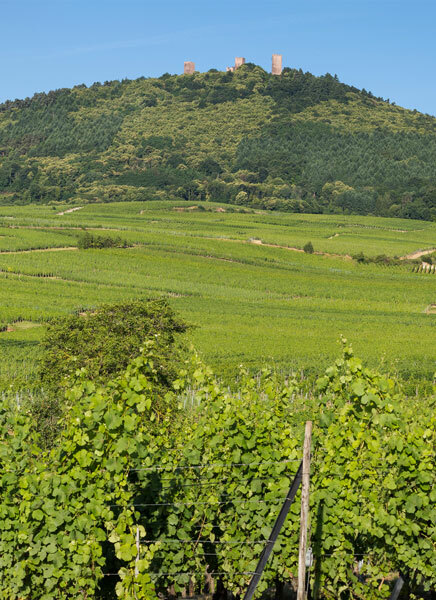 We are fortunate in having our own mass selections of Pinot Gris and Gewurztraminer – indeed, the “Gewurztraminer Armand Baur” variety is now used by winegrowers across the region of Alsace. The final major task carried out in spring is the cultivation of the soils. Ploughing aerates the soils and permits the diversity of aerobic microorganisms therein. 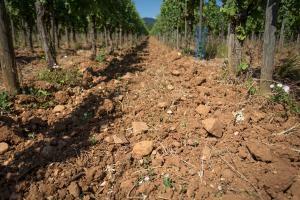 Ploughing forces the vines to push their root systems deeper into the ground. 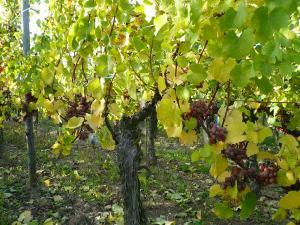 In so doing, the vines may develop to the maximum and improve their longevity. Tilling the soil enables us to reduce the number of weeds around the vines and to regulate the water and nutrient composition which are vital to a healthy vineyard. In the autumn, soil is piled up around the feet of the vine. 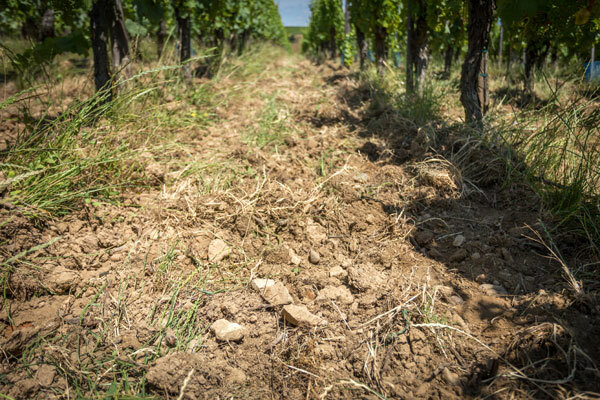 This process enables us to control the growth of weeds which grow under the vines themselves. This technique of piling up means that we may avoid using herbicides. 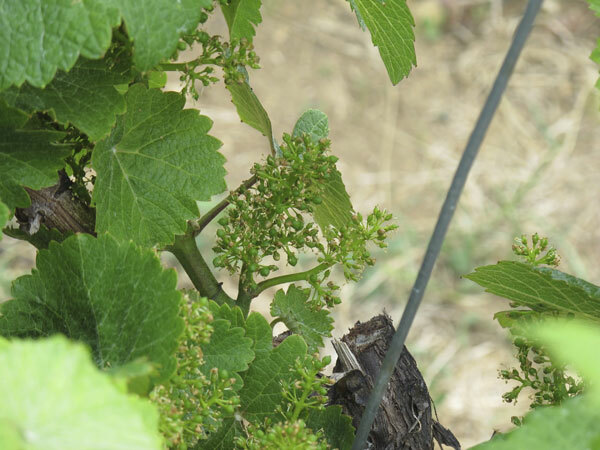 As the days lengthen, new vine shoots begin to appear and our team goes about the process of de-budding which consists of preserving only the main shoot from each bud. De-budding is important in reducing the quantity of fruit whilst helping to improve the quality. Such an approach is also important as it helps the long-term development of the plant. Whenever possible in vines over thirty years in age, a fresh shoot from the base of the plant is kept for “recepage” or vine rejuvenation. 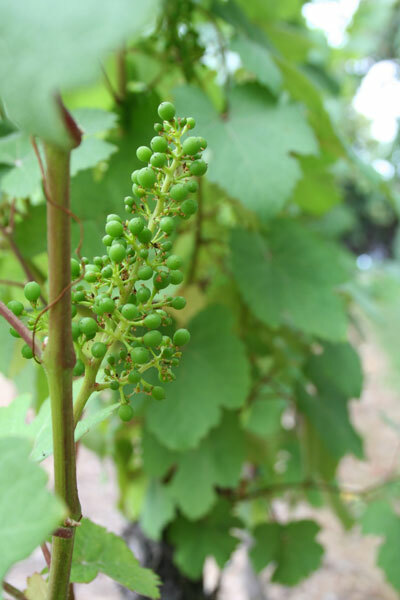 In stimulating a rejuvenated vine, we are increasing the potential longevity of the plant. Fresh shoots are sensitive to disease and therefore need to be protected. To protect them, we use only natural products – copper and sulphur – which do not penetrate the plant and its grapes. Using these two elements will inhibit the spread of mildew and oidium (or powdery mildew), the two main diseases to which they are susceptible. The use of copper and sulphur is limited in organic farming to ensure that the integrity of all the natural elements is respected. The growth period continues through the spring and up until mid-July. If they are left to grow naturally, the shoots will entangle themselves. To prevent this happening, we train the shoots on to trellis wire which enable them to grow in an orderly fashion. Because of this, the vine leaves benefit from optimum sunshine and the potential for photosynthesis increases. Photosynthesis is important as it increases the ripening potential of the grapes and the reserve capacity of the vine. Trellising also permits better air-flow through the foliage and reduces the risk of humidity which can result in mildew or oidium. 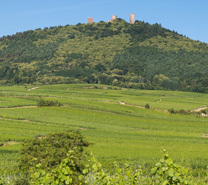 When the vegetative growth is finished, the vines which have now experienced significant growth are trimmed around the edges. This ensures that the leaves remain exposed to the sun and that the shoots do not break off in the event of a thunderstorm. In certain parcels the grass in between the rows of vines will grow long and needs to be mown periodically. The vine is then left to take its time to produce mature grapes. 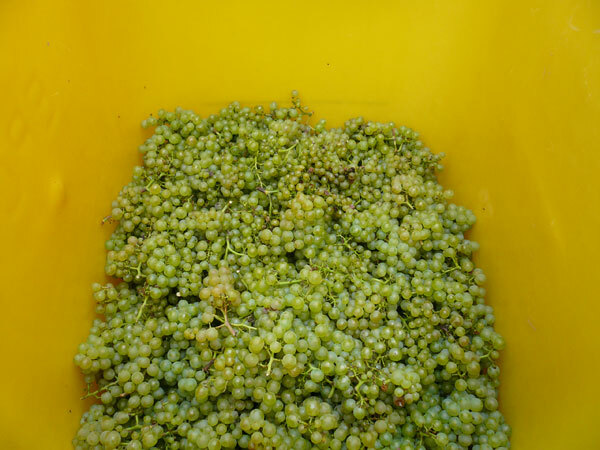 For Crémant D’Alsace sparkling wines, the grape harvest tends to start at the beginning of September, whereas for still wines the picking commences around the September 15th and continues until the month of November. 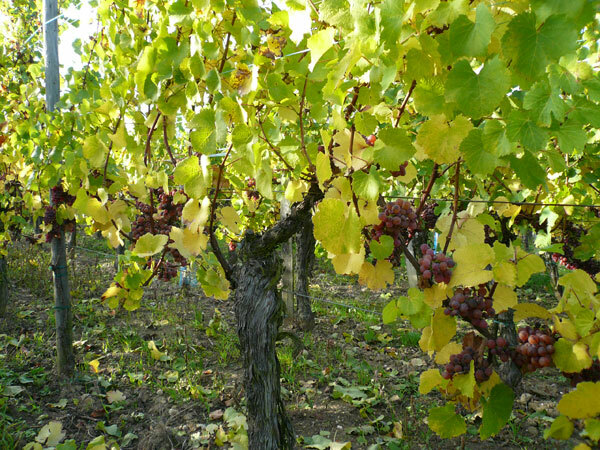 The “vendanges tardives” harvesting (together with those for the “grains nobles”) takes place at the end of October/start of November. Each terroir and varietal matures at its own speed. In order to produce the best possible wine, it is necessary for us to decide upon the optimum date for picking the grapes. Some years, the grapes evolve significantly within the space of two to three days – we regularly take samples to assess the aromatic sophistication, phenolic ripening and levels of sweetness and acidity. All the grapes are picked by hand. 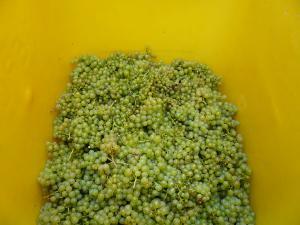 A first selection is carried out by the pickers and a second one when the grapes are carefully put in plastic containers called “bottiches” to ensure that only the best fruit is selected. 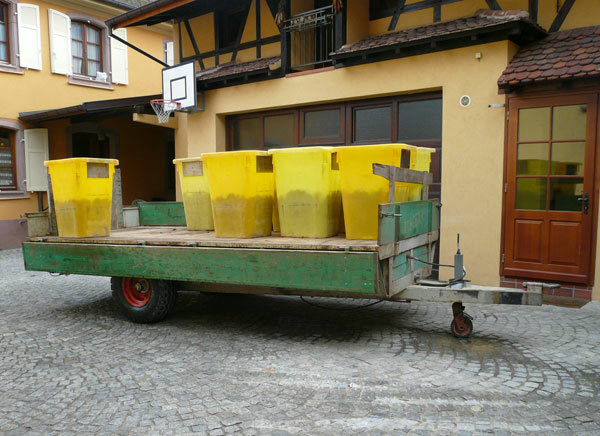 These bottiches are then used to transfer the harvest to the cellars having been lightly filled to preserve the fruit from being crushed in transport. It is the combination of all these factors which enable us to produce wine that carries the Charles Baur hallmarks– wines which reveal their terroirs and which are balanced, of aromatic complexity and of the utmost finesse.